Hughes Network Systems, LLC (HUGHES) has been awarded a follow-on contract to continue the second phase of a pilot study program to assess the feasibility of interoperability across multiple satellite communication (SATCOM) systems for the Department of Defense (DoD). The new study — the second over the course of several years — builds on the growing commercial partnership with the DoD to assess what the ideal military SATCOM architecture would look like and how diverse systems could work together. 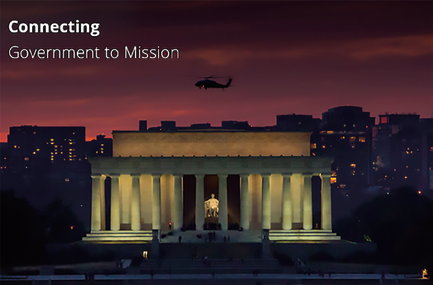 The assessment and prototype deliverables have the potential to create a more resilient, cost-effective, and flexible SATCOM architecture for DoD. In Phase 2, Hughes will build on their recommendations from the first study and explore how an interoperable system solution could be effectively implemented by developing and producing the new FMI for demonstration and evaluation. Dr. Rajeev Gopal, Senior Technical Director, Advanced Systems for Hughes says in Phase Two of this program, Hughes is being asked to develop, demonstrate and deliver a hardware and architecture prototype solution to support interoperable SATCOM capabilities for the military, which will help fortify satellite communications in contested environments. 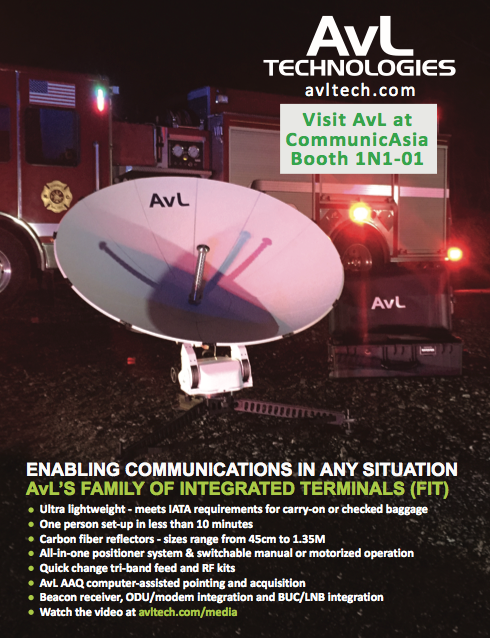 The delivered solution will increase the resiliency and interoperability of various commercial and military SATCOM systems and services used by the DoD, including over High- Throughput Satellites (HTS). As part of the overall assessment, Hughes will be evaluating the needs and capabilities that DoD will require in the future, including a secure and affordable wideband communications architecture (WCA) that can facilitate varied and redundant space and ground transports. The FMI prototype will be demonstrated within the context of a mission management architecture that supports wide-beam, spot-beam, and on-board processing satellites, including new GEO HTS and Low Earth Orbit (LEO) satellite constellations. Rick Lober, vice president and general manager of defense and intelligence systems at Hughes added that the overall goal for Hughes is to help the Defense Department produce a solution that expands the capabilities of the U.S. government’s satellite communications. 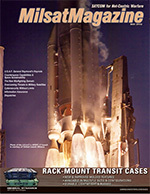 To do that, Rick said, they will examine how to create an interoperable system that is flexible and resilient, allowing DoD’s various global applications to operate over its own satellite network as well as leveraging commercial satellites, management systems, gateways, waveforms, and modems for DoD terminals to increase mission assurance. Direct Government (iDirectGov) has unveiled their 9050 OM ruggedized satellite router — the 9050 OM features enhanced security, military environmental standards and improved functionality in a ruggedized form factor for operation in harsh outdoor environments. A 950mp integrated satellite router board resides at the heart of the 9050 OM, which protects the board from the elements including blowing rain or dusty conditions. Powered by Evolution® 4.2 software, the 9050 OM can operate in harsh environments in temperatures ranging from -40 degrees F to +131 degrees F.
While en route to a mission, the 9050 OM can survive a parachute jump from 25,000 feet or be submerged in water, and still be able to operate once it reaches its final destination. John Ratigan, President of iDirect Government, said this is going to drastically change the way operators work in the field. 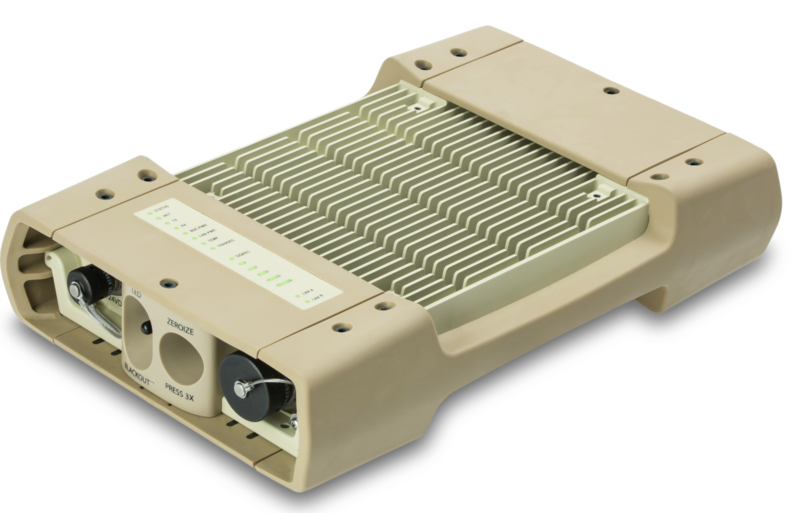 Gone are the days of lugging around heavy transit cases in inclement weather and remote locations — this 9050 OM is durable, compact and powerful, enabling iDirectGov’s 950mp satellite router board to send critical information over the airwaves without overheating or experiencing a failure in the field. The company’s engineers designed and tested this solution so that the men and women who defend our nation can communicate seamlessly in order to complete their mission and keep us safe. In approximately 30 to 60 minutes of turn-based, ‘sandbox’ gameplay, players employ a range of the basic concepts laid out in Joint Publications 3-12(R) Cyberspace Operations. A deft combination of offensive cyber operations, defensive cyber operations and computer network exploitation can lead a player to victory, even if in a relatively weak position. A sense of urgency has burgeoned in the United States over the last decade as adversaries — state and non-state actors alike — have increasingly turned to the cyber domain to actively work against U.S. national security interests. President Donald J. Trump echoed this in his fiscal year 2019 budget request to Congress, calling for a 4.2 percent increase in the Pentagon’s cyber funding to US$8.5 billion as U.S. Cyber Command approaches full operational capability as a newly-unified combatant command. Yet, there remains a critical gap in how DoD goes about preparing the military to engage in this domain. Several educational courses and training exercises have been developed to prepare leaders to plan and execute cyberspace-based effects to support operations, but there are no virtual simulations used by the military to train and educate service members in the basic concepts of cyberspace operations. “We used game theory to explore that, but that was the basis of ‘hey, I think we have a question here that we could look into,’” Mulch said. Coming up with a game was not too far of a stretch: the U.S. military has a long history of using games to prepare, understand and even plan for war. The earliest use of war gaming in the U.S. dates back to 1883, when Maj. William R. Livermore used topographical maps to practice the art of war. Livermore’s work was itself based on Kriegsspiel, a tabletop game the Prussian military had used since 1812 to train their officers. However, such gaming is not just “beer and pretzels,” Long stressed. 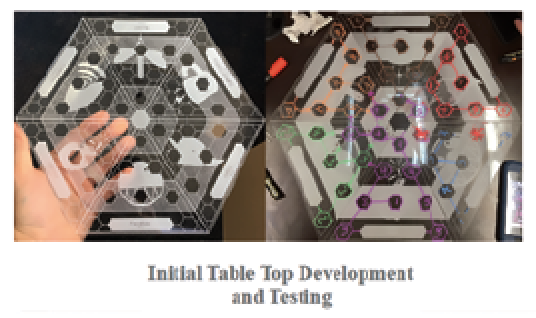 Serious games, which academic literature refers to as “gamification”, are played to stimulate creative thinking, decision making and problem solving to learn. Good gamification allows players to synthesize new knowledge and make critical judgments. 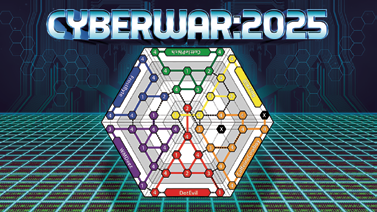 At the start of CyberWar: 2025, six players are randomized for anonymity, so you could be sitting next to somebody, but not necessarily be located next to them on the board. 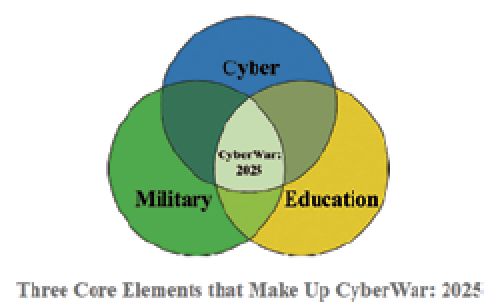 As their thesis was published in December, CyberWar: 2025 has been successfully adopted in cyber courses at NPS, though Long and Mulch would like to see it become more widely available. The simulation also has great potential as refresher training, the duo said. For service members who’ve already received cyber training, yet haven’t practiced it for some time, CyberWar: 2025 serves as an efficient tool to get them back up to speed prior to deployment or a training event. The days of simple radio communication seem to be over for the soldiers of the 173rd Airborne Brigade Combat Team. U.S. Army 1st. 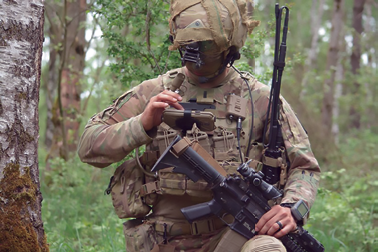 Lt. Michael Austin, a platoon leader for Attack Co., 1st Battalion, 503rd Infantry Regiment, uses an end-user device to report information to his company commander through the Integrated Tactical Network during a live-fire exercise in Grafenwoehr, Germany. Army photo by Spc. Joshua Cofield. In the place of radios comes a sophisticated yet intuitive communication system that allows leaders at the squad level and higher to rapidly share information across the military network. This new platform, called the Integrated Tactical Network, revolutionizes the way tactical leaders are able to communicate, improving the lethality of small units, while at the same time increasing safety and situational awareness for soldiers. The benefits for soldiers in the field are extensive. With the platform, leaders are able to track the positions of the units all around the battlefield, as well as share text messages, voice communication and even pictures. The equipment was fielded to the battalion two days prior to executing company-level combined arms live-fire exercises in Germany that were conducted from May 1 to 5. After a one-day class, the radio telephone operators and the platoon leaders understood the process for using the devices and were able to use them for the actual exercise. The new system uses equipment that soldiers are already familiar with, including the multi-band, inter/intra team radio to project data as well as a modern smartphone for the actual interface. Platoon leaders, fire support officers and company commanders have the devices now, but squad leaders will have the same devices soon. Another benefit of the new equipment is that it simplifies the communications package for the soldier on the ground. “It makes it so you don’t have to have a truck with a [Joint Capabilities Release] on it, with a vehicle and power to it. It takes away all that equipment and simplifies it,” said Army Sgt. Alex Jones, a retransmission team noncommissioned officer with the 1st Battalion, 503rd Infantry Regiment’s communications section. On a less tangible level, this system empowers junior leaders to know their mission and react quickly as the situation on the ground changes. By improving communication across the formation, empowering junior leaders and ensuring soldier lethality on the battlefield, this new system shows just how the 173rd Airborne Brigade Combat Team soldiers continue to lead the force not just as fighters but also as modern, adaptable communicators on today’s battlefield. On the far southwest end of Schriever Air Force Base is an operations warehouse known as ‘the Barn,’ where members replicate live GPS and satellite communication electronic attacks for training service members across the world. This is the home of the 527th Space Aggressor Squadron which relies on its total force integration to get the mission done, which includes 26th Space Aggressor Squadron Reserve personnel. 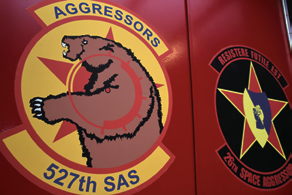 The 527th SAS stood up as the first space aggressor unit in 2000, while the 26th SAS activated in 2003. The history of the space aggressors traces back to the Vietnam War, when they were established to address aircrew training deficiencies. Thus, the evolution of the air aggressors. As the U.S. Air Force’s mission portfolio grew, the aggressor program grew toward space, which is now known as the space aggressors. These tactics are engaged as part of military training exercises isolated to controlled environments. At no time do aggressors use these tactics outside of coordinated and approved exercises. To best prepare for the challenges they may face, the aggressors have an intelligence flight whose entire function is to research adversaries’ capabilities, weapons systems, limitations and how they’re going to employ those systems. The flight coordinates with the intelligence community to gather information. The 527th SAS then conducts the teaching and replication part of their mission with the warfighters, including the Air Force, sister services, allies and coalition partners. “In the summer of 2016, we created a memorandum of agreement with the U.S. Army, then followed by the U.S. Navy,” Lattemore said. “We train them to do our mission, with the intent of creating their own aggressor units. On a year-round basis, the squadron participates in various exercises. The 527th SAS gathers intelligence and provides relevant and realistic training for the warfighters that helps enhance their situational awareness regarding adversary space systems. The space aggressors also participate in RED FLAG at Nellis Air Force Base, Nevada. During those exercises, the 527th SAS conducts adversarial tactics including jamming satellite communications and GPS receivers in an attempt to teach warfighters the effects of the adversaries’ weapon systems. The friendly forces then attempt to identify and mitigate the problems associated with these effects. According to Capt. Nathaniel Lee, assistant to the flight commander for aggressor weapons and tactics, 527th SAS, the squadron is developing a threat replication program from the ground up, to be finalized this April. He explained the need for space aggressors is increasing because adversaries are always developing new capabilities. Lee reflected on what it means to be a part of the squadron. Story and photo by Senior Airman Arielle Vasquez, 50th Space Wing Public Affairs. U.S.A.F.